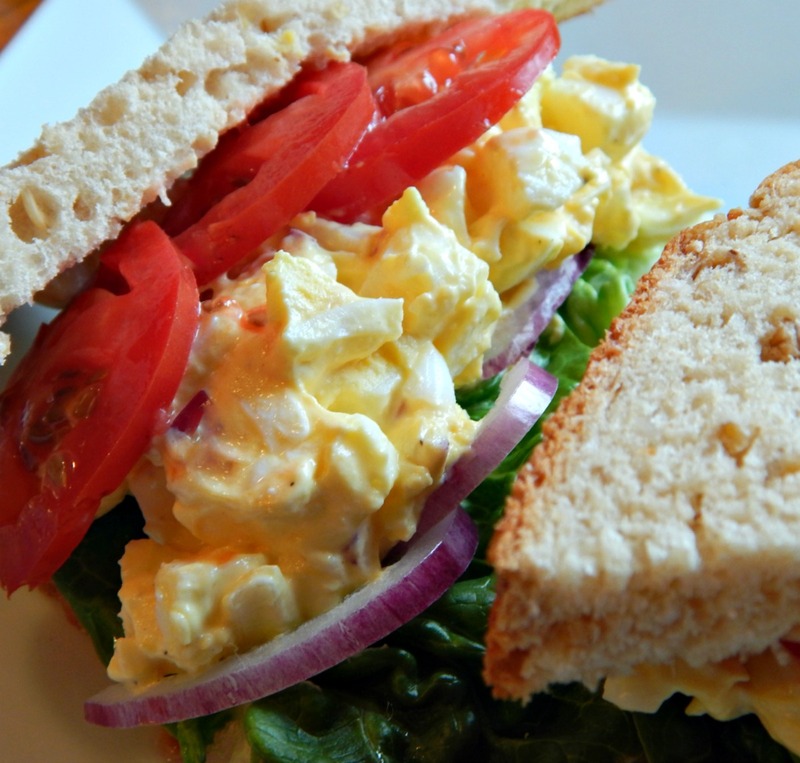 The best thing about a recipe for the Best Egg Salad Sandwich is that it eliminates all the guesswork. Don’t you just hate trying to fix up Egg Salad after it’s made! And there’s no going back from too much mayo once it’s mixed, so best to get it right the first time. The Best Egg Salad Sandwich is a very inexpensive meal, especially if the eggs and bread are on sale. Would you eat sandwiches for a dinner? I would, especially on a hot, hot day. Think Egg Salad when you have leftover Easter Eggs, too. Dice hard-boiled eggs and add to a medium sized bowl. Mix all other ingredients in a small bowl together and fold into eggs. Mix gently. Serve on plain or toasted bread with thin slices of red onion, if desired. Add 1 1/2 teaspoons curry powder if you’d like Curried Egg Salad. To easily cut eggs the perfect size for Egg Salad, Potato Salad or other use? Push them right through a baking rack! This entry was posted in Click here for Bargain Meals, Click here for Fabulous Food Posts and tagged Asparagus, Bargain Meal of the Week, Easter Eggs, Eggs, hard-boiled eggs, Sandwiches, Vegetable Side. Bookmark the permalink. Yum!!! I love egg salad with asparagus but have not tried it with MARINATED asparagus! I will definitely try that next time! TY! OMG!!! I’m so glad you replied to me today because I had forgotten about the recipe and I just happened to a) be standing in the kitchen when you replied and b) have everything needed to make it!!! AND it just happened to be lunchtime so I jumped right in!! So now the egg salad is ready in a bowl and the asparagus is marinating in the fridge. I took a picture of the ingredients but it doesn’t look like WordPress allows pictures in comments. Bummer. Anyway, I look forward to tomorrow’s lunch!! I felt bad I didn’t see your comment until today when I loaded in new pics of the asparagus!! I hope you liked it!! It was delicious!!!! Putting that recipe in the favorites section.